Many content management systems are focused on developer or site owner needs, but CMS Made Simple is a CMS that truly delivers the best to both worlds. An in-context editing toolbar makes it easy to make changes as you navigate the live website. A truly MVC architecture and API make it easy for developers to truly use the CMS as building blocks. MilesWeb team will help you to get your CMS Made Simple website online in no time. Our best CMS Made Simple hosting packages comes with preconfigured PHP and MySQL and all other required software to run CMS Made Simple successfully. 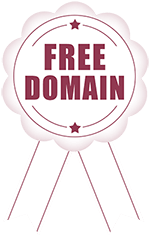 Every client gets a free private SSL certificate for the CMS Made Simple website with the option to add dedicatd IP at an additional cost. Our shared hosting servers in India, UK and US are 100% optimized for running CMS Made Simple website. Now all you have to do is login and start building your CMS Made Simple website. Why Choose MilesWeb's CMS Made Simple Hosting Service? You don’t have to worry about any technical aspect if you wish to start a CMS Made Simple website or portal. We are there with you and we will provide you with comprehensive support whenever required for getting your website/portal live. Safeguard your complete website files, folders, Databases with automatic daily cloud backups. We charge additional for website backup and restore service. CMS Made Simple is completely free to install and you can install it as many times as you wish, at no additional cost. MilesWeb provides you with your desired hosting package with free CMS Made Simple installation. Worried about the data migration in changing CMS Made Simple hosts? No problem — We’ll take complete responsibility of migrating your CMS Made Simple website from your existing provider, remove bugs and optimize your site for the best and fast performance from day 1. How long does it take to set up a CMS Made Simple hosting account? Are sub-domains supported on the eCommerce CMS Made Simple hosting plans? Yes, sub-domains are supported; there is no limitations on the number of sub-domains supported on the CMS Made Simple hosting account. Will I get assistance to move my CMS Made Simple website across from another provider? Yes we will provide with complete assistance to move your CMS Made Simple website. However the control panel with the old hosting provider and the one which you have with us should be the same. Is technical knowledge required for using CMS Made Simple hosting? No. It can be installed and configured through an auto installer. You can access the features through the user friendly control panel. The applications included will help you to establish a website easily. CMS Made Simple makes website management easy through the product management tools. CMS Made Simple is pre-installed with Milesweb’s CMS Made Simple hosting plans. What can be done with CMS Made Simple web hosting? CMS Made Simple is the perfect platform for setting up an impressive eCommerce website. More than one website can be hosted on your hosting account. How does money back guarantee work? If you are not satisfied with our service, you can cancel the hosting account and claim full refund within first 30 days of your service. If you have paid upfront for a year and cancel the hosting account after 30 days then we will provide refund for the unused period. Note that this excludes the price of the ssl certificate and registered domain names because we cannot ‘unregister’ the domain names after registering them. Setup a Blazing Fast CMS Made Simple Blog , Plans at just $1.11/mo.